The growth of mobile has been astronomical in recent years, and subsequently, brands need to focus on a mobile first mentality--perhaps more than ever. The majority of users, across all industries, tend to use mobile devices as their "go-to," primary device for searches, purchases, and social media. Without a strong mobile presence, and a mobile marketing strategy that is driven and effective, your brand could easily fall behind in terms of capturing the interest of users and converting them into long-term, valuable customers. For brands within the B2C sector, there are a lot of opportunities to effectively attract potential customers on mobile devices. When building your own mobile marketing strategy, consider the following 4 elements to ensure that you're reaching the right audience, at the right time, with the right content. Generally speaking, the primary device used to access social media platforms is a mobile device. Consider Instagram for example. The growing and incredibly popular channel is tailored for users looking to consume visually-compelling content specifically from their smartphones. Both Instagram and Facebook offer advertising options that make it easy to connect with highly-targeted users on their mobile devices. Capabilities are completely customizable, and you can select from intricate demographics including everything from profession to interest to geographic location. This sort of targeting option helps to ensure that your brand is spending its advertising dollars on only the most relevant users that are going to be most likely to have an interest in your brand and follow up with a purchase. The example below shows a carousel-style advertisement on Instagram. Brands are able to take the user on the journey and tell a real story about their product or organization. Offering a direct buy on the ad itself makes it quite likely that the user can make a purchase with no interference. The more effortless that you can make the buying experience for your customers, the more likely they are to convert. With the growth of social media so prominent in recent years, taking your advertising initiatives to include platforms like Facebook and Instagram is paramount for B2C brands. When developing content for mobile devices, it's important to ensure that you're providing an optimal user experience for your customers and consumers. Anything that interferes with it will diminish your company's success and credibility in the eyes of your users. First and foremost, keeping your messaging as concise as possible is critical to users actually reading it and taking some value from it. Too much text can dissuade the user from reading, and give the impression that the content is difficult-to-digest. Font is incredibly important to get right on your mobile site, since users are reading on screens that are significantly smaller than desktops. Use a large size font that is readable and easy to look at without squinting. Consider using different font styling choices like bolds or italics to put certain emphasis on important words that you want to stand out to the user. Also, how quickly your site loads matters--especially when users are on-the-go as they aren't going to wait to visit your site if they can't access it quickly. Specifically for content-heavy pages, visuals are helpful to break up the text on a page, and when there are a lot on a single page one of the most effective ways to keep your site fast is to optimize images. Ensuring that your image's file sizes are as small as possible by running them through image optimization software will help solve site speed issues. Email marketing is one of the most effective ways to communicate and connect with a targeted list of users that have already expressed interest in their brand. Sending customers a special promotion for an exclusive discount, or a newsletter highlighting the latest products your brand has to offer can be a simple way to encourage sales--when done correctly. An integral part of a successful mobile marketing campaign is to think about email campaigns and how you can optimize those messages for users. 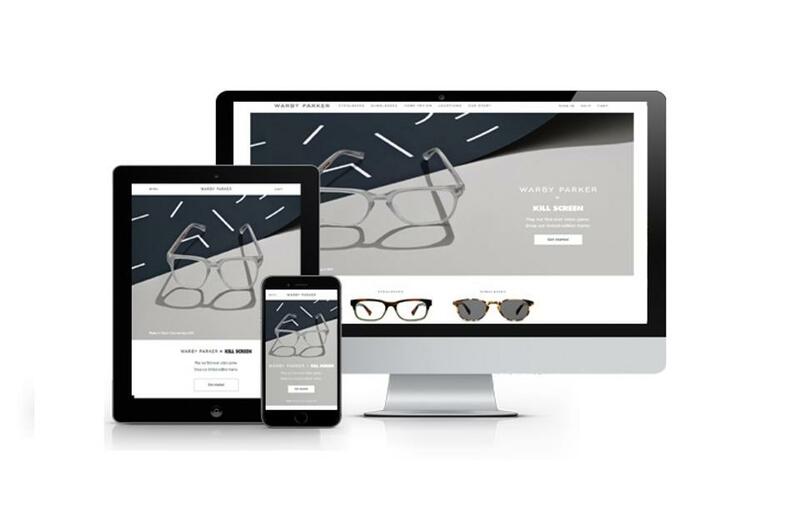 Using a responsive design template, so that the email loads properly across all devices is essential. 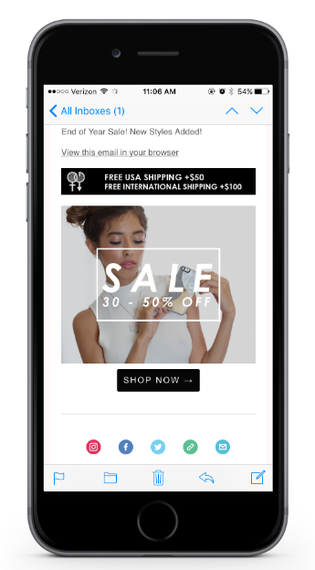 As seen in the example below, the email template renders appropriately on mobile, is easy-to-read on a small screen, and has items that are optimized for touch screen. 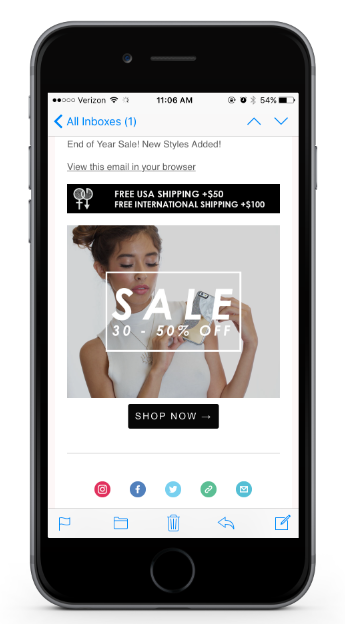 Simply put, if your email isn't loading properly on mobile, and buttons like "buy now" aren't easy to click on, users aren't going to click through to your site. To keep mobile users engaged and part of your conversion funnel, it's essential that you always optimize your campaigns for small devices, and take the time to test the functionality of your email across your own smartphone device. Aside from traditional retargeting ads, advancements in marketing technology have made the growth of hyper-targeted ads much more prominent. Tools like Mosaic, which allow you to serve a user in a precise location, have made this type of advertising capability an incredibly valuable asset to B2Cs looking to reach a user on mobile. Hyper-targeting ads (through Mosaic for example) allow you to hone in on a specific GPS coordinate and serve users with an ad as long as they are consuming content in some way on their mobile phone. Consider an ecommerce brand for example--with this sort of technology you can easily serve users visiting a competitor's storefront with a special coupon or exclusive offer as they walk down an aisle, encouraging them to visit your website for their purchase instead. If there is a trade show or event that users who fit your target audience are likely to attend, you can hone in on that specific venue to only serve ad content there. Depending on your audience and the type of stores or locations they frequent, the ability to serve users with an ad literally as they shop or visit a storefront holds a wealth of opportunities. 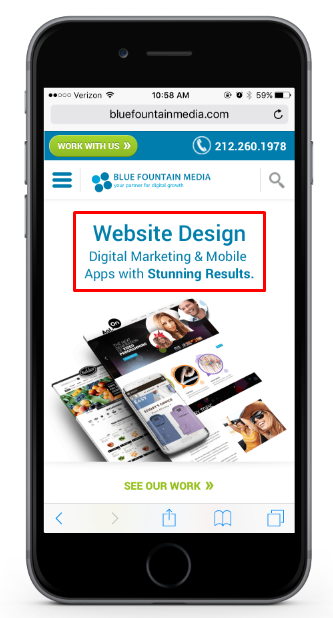 A responsive design website is a crucial component to any strong mobile marketing strategy. Generally, the objective of most marketing channels is to capture user interest and drive those visitors to your website. If you're sending users to a website that isn't optimized for their mobile or tablet device, you could be offering them a poor user-experience. A responsive design ensures that regardless of the device that users are accessing your site from, the screen will render appropriately to fit the size of their device. This means no zooming in or zooming out to view photos, field forms that are optimized for touch screen, buttons that are easy to click on, and content that is easily digestible on a screen that is significantly smaller than a desktop monitor. 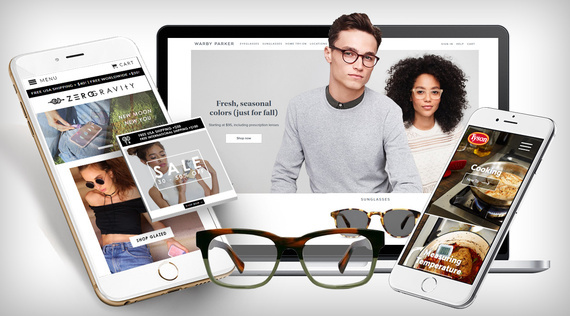 A lot of B2C brands have ecommerce sites. So with that being said, if you're trying to help facilitate a sale online, the customer's purchase experience must be seamless. Any interference to buy a product, whether it is the font being too small to read, or a button not working, can easily deter users from converting and completing a purchase. To effectively engage users on mobile and help generate sales for your brand, a strong mobile marketing strategy is important. While the above elements are definitely some of the most valuable components to meeting your objectives and converting mobile users, these are only some of the essentials. 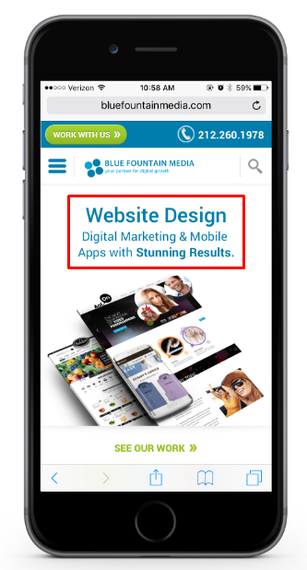 To learn more about the above mobile initiatives as well as what other mobile marketing tactics your brand should utilize, visit Blue Fountain Media online.